Windows blue screen got you down? Is El Capitan a sinking ship on your Mac? Thinking about switching to Linux, but don’t know where to start? This guide will show you how to install Arch Linux… without all the hassle of text menus, command line terminals, crazy disk partitioning schemes, and even immediate software updates after installation. With Antergos, you can install Arch Linux the easy way. Arch Linux is a minimalist, lightweight Linux distribution that can be run on just about any computing device. Arch follows the “Keep It Simple, Stupid” (KISS) principle, providing a basic operating system without all the extra bells and whistles, commonly found in Windows and OS X. By adhering to this minimalist philosophy, Arch Linux is one of the fastest OSes on the market, and can be run on obsolete computers normally relegated to the local recycling center Defeat Planned Obsolescence with Linux and Open Source Software Defeat Planned Obsolescence with Linux and Open Source Software Unlike a 5-year-old PC, a 5-year-old smartphone can barely run any modern apps. But there is a way to enjoy the benefits of technology without buying new hardware: embrace Linux and free software! Read More . The trade off for taking this approach, however, is user friendliness. New users can be intimidated by text based installers and command line prompts. 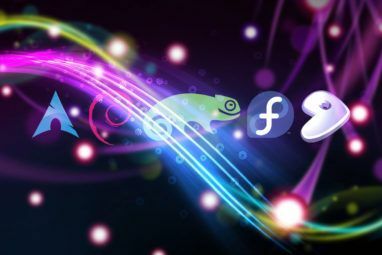 To make this process more user friendly, a few Arch based derivatives have become popular in the the Linux community. 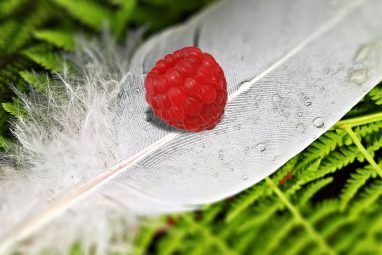 Antergos is an Arch Linux based derivative, which aims to simplify the complicated, text and command line-based installation process of Arch Linux by providing a live, usable OS on your USB stick. From this live system, you can perform basic tasks such as browsing the web and sending emails, even while installing the OS to your hard drive. You will need an active internet connection. A wired Ethernet connection is preferable, as some wireless drivers can only be utilized after installation. Download the installation file for your computer hardware. For a multi-core processor (most computers produced in the past decade), download this ISO [No Longer Available], directly from the Antergos server. If you don’t know, or have an older system, use the Antergos ISO for single core processors [No Longer Available]. Next, create a live USB stick. If you are currently using Windows, this guide is excellent How to Make a Bootable USB/CD/DVD to Install Windows Using an ISO File How to Make a Bootable USB/CD/DVD to Install Windows Using an ISO File Need installation media to reinstall Windows? Our tips show you how to create a bootable USB, CD, or DVD from scratch. Read More . On a Mac, Etcher is an easy utility for creating your USB stick. When your installation media has been created, reboot your system from the USB stick. In Windows 8 or 8.1, follow these instructions from Microsoft. For Windows 10, try these instead. On a Mac, reboot the computer and hold down the Option key when you hear the chime, before the screen turns on. In all cases, select the option to boot from the USB stick. When your computer loads, you will be presented with the Antergos boot loader. Select the option to Start Antergos Live. If you have a newer computer, you may be presented with a text menu, make sure to select the Antergos UEFI USB option! If you used Etcher to create your USB stick, you may need to select the CD/DVD option from the menu. Give the computer a few minutes to load the live USB (remember, loading an OS from a USB stick is significantly slower than from an internal hard drive!). You will be presented with the GNOME desktop GNOME 3 Beta - Welcome To Your New Linux Desktop GNOME 3 Beta - Welcome To Your New Linux Desktop Read More and cnchi installer. A notification should pop up telling you the cnchi installer is being updated. After cnchi is updated, you will receive another notification to alert you the system is ready to be installed. Click Install It. The installer should be familiar to anyone who has installed Windows or OS X before, but if not, fret not! You will be asked to set your location settings, such as language, timezone, and keyboard layout. Then, the installer will give you the first option in customizing your OS — choosing your desktop environment. Xfce provides a simple user interface which is extremely light on system resources XFCE: Your Lightweight, Speedy, Fully-Fledged Linux Desktop XFCE: Your Lightweight, Speedy, Fully-Fledged Linux Desktop As far as Linux goes, customization is king. Not only that, but the customization options are so great it might make your head spin. I have previously mentioned the differences between the major desktop environments... Read More , making Xfce a great option for new users. You can choose any of these options, but if you are brand new to Linux, do not select Base or Openbox. Next, you will continue customizing your OS with additional features. The following options are solid choices. Arch User Repository (AUR) Support: this will allow the Antergos installation script to search for any basic hardware drivers, such as some wireless networking cards, which are not included in the base installation files. Chromium Web Browser: This is the open source version of Google Chrome. If you are a Netflix user, this browser has a widevine plugin available (through the AUR) which allows you to watch Netflix without installing Microsoft Silverlight. Kernel (LTS version): The kernel is the “brain” of your OS. LTS stands for “Long Term Support.” The LTS kernel trades the newest kernel features for a wider range of hardware support and stability. If you work through this guide and cannot boot into your new Antergos system, run the installer again and select this option. AMD or NVIDIA proprietary video drivers: This option will appear if you have an AMD or NVIDIA video card. If this computer will be used for games, select this option. Steam and PlayOnLinux: Enable this if you want to either play games or run some Windows applications. Note: Not all Windows applications work under PlayOnLinux — check the PlayOnLinux website to see if your application is supported. Windows Sharing SMB: If you have other Windows computers on your network you may need to share files to, select this. Next, you will decide on the partition structure of your computer. You may want to encrypt your hard drive here… especially on a laptop. The following screen allows you to choose the hard drive you will be installing Antergos to. The default selection is usually correct. Finally, create your user account. The system will install, pulling the most current system software directly from the Arch Linux software repositories. Depending on your internet speed, the install can take as little as 15 minutes. Feel free to watch a YouTube video by opening the Chromium Browser from the dock on the left. Once complete, you will be prompted to reboot the system. Press Enter. After entering your username and password, you will be presented with your Xfce desktop. Congratulations! You have just installed Arch Linux the easy way with Antergos! That wasn’t so difficult, was it? Enjoy using one of the slimmest, fastest OSes on the market. When your friends or family complain about Windows or OS X bloat or OS slowdowns, smile to yourself knowing your system will run as fast as the day it was installed. Let us know how the installation process went in the comments below. 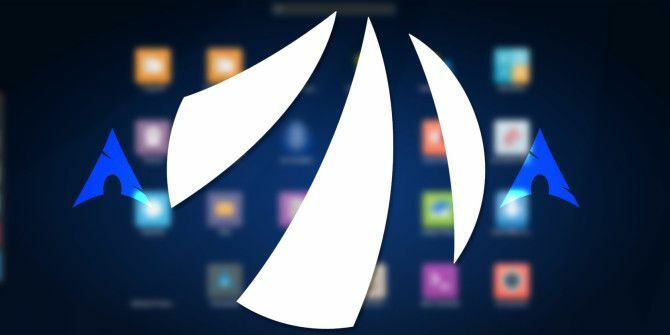 Was installing Arch Linux with Antergos as difficult as you thought it would be? Are you impressed with the final system? Do you like the XFCE desktop environment? Very nice article. Thank you very much. Actually, I was considering Manjaro. Now, I will try Antergos too. 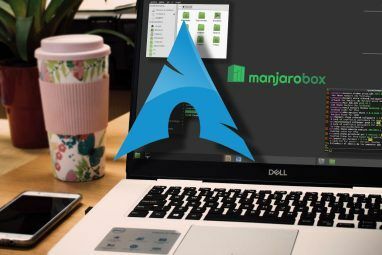 Can I use Manjaro or Antergos as Server? Thanks in advance. Can you imagine why they don't teach chainsaw-juggling in kindergarden? Cnchi is an installer script which installs directly from the Arch repos. Antergos has one separate repo for themes and meta packages. Antergos is Arch, Arch is not Antergos. Antergos is not Arch. That's like saying 'Linux Mint is Ubuntu', because Mint uses Ubuntu repos. They are separate projects with separate development philosophies. Try going into the ArchLinux IRC channel asking about a problem; If you're using Antergos, you'll be laughed out. To be clear: Your article is good, we just object to the title, intro paragraph, and concluding paragraph where you claim that your reader has installed Arch Linux. The reader has not installed Arch, but an Arch derivative. I commend the correct language being used within the article, but am disappointed that this detail was overlooked in the aforementioned sections. I am a United States Air Force Veteran, Teacher, Musician, IT Consultant, and Writer.